Specializing in Resort, Boating and Second Homes on the Emerald Coast of Florida..... from Navarre Beach to Panama City. After a successful career in management, Jane uses her business sense to guide her customers in making the perfect choice. Her comprehensive marketing program, professional staff and work ethics quickly bring you results. She enjoys providing buyers a stress-free transaction. With extensive property knowledge, dedication to her clients and an aggressive marketing program, Jane brings buyers and sellers together for quick results. Jane is a member of Who’s Who in Luxury Real Estate, The Institute for Luxury Home Marketing, and is a Certified International Property Specialist. 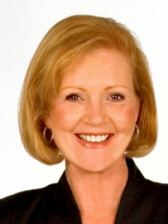 She is a member of the REMAX Hall of Fame and has received the REMAX Lifetime Achievement Award. * Florida Real Estate Brokers' License. * Certified Luxury Home Marketing Specialist. * Residential and Resort Sales Specialist. * Certified Distressed Property Expert. * Short Sale & Foreclosure Resource. * Active member of: National Association of REALTORS. Florida Association of REALTORS. Emerald Coast Association of REALTORS. Destin Chamber of Commerce. Luxury Real Estate Council. Better Business Bureau. * RE/MAX Hall of Fame * RE/MAX Lifetime Achievement Award * RE/MAX Chairman's Club Award * Voted Best Realtor on the Emerald Coast * Ranked 25th Team Worldwide by RE/MAX - 2004 * Recognized by Who's Who in Luxury Real Estate * The Institute for Luxury Home Marketing - Highest Colume of Closed Transactions Priced at $1 Million and Above - 2006 * First recipient of the Jack Leech Memorial. * Award - Better Business Bureau of West Georgia and East Alabama. * Woman of the Year - Soroptimist International of Columbus,Georgia. * International Federation Advisor for Youth Forum Program. * Soroptimist International of the Americas. * Credentials Chairman, 31st Biennial Convention, Kyoto, Japan. * Chairman of Board - Board Member - Better Business Bureau of West Georgia and East Alabama. * Board Member - State of Georgia Semiquincentenary Commission (appointed by Governor. * Various Board Positions on Civic Club Boards and Homeowner Association Boards. This page has been visited 1,062 times.